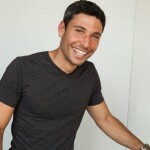 Justin Dangel is an entrepreneur, seed investor and activist from Boston. After beginning his career in Venture Capital, Mr Dangel has launched several companies. Most recently, he founded Goji, the largest online auto and home insurance agency in the United States which has served over a half a million customers since 2010. 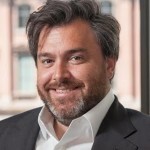 Prior to that, Mr. Dangel co-founded Canback Dangel, a predictive analytics firm now part of the Economist Intelligence Unit. In 1998, Mr Dangel founded Voter.com, a leading political Internet company which was the most trafficked unaffiliated political web site of the 2000 election cycle. Martin Storrow believes there is an art to everything. 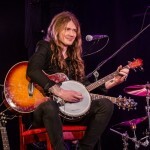 After releasing five records and touring the United States for nearly a decade as an independent musician and songwriter, Martin left his ‘day job’ in music to pursue his passion for community-building. Now an entrepreneur and consultant, Martin partners with visionary individuals and organizations to design community experiences, strengthen networks, and advance projects that contribute to the greater good. Prior to starting his own company, Martin also served as Director of Leadership Development for Moishe House, where he created and oversaw initiatives that provided training and coaching to hundreds of leaders around the world. He is also proud to be involved with JDC, and has served on the JDC Entwine Steering Committee since 2013 and the Board of Directors since 2015. Martin currently lives in Los Angeles, California, where he still writes and performs music regularly. Alessandro Nanì is the curator of the BA curriculum ‘Crossmedia Production’ at Tallinn University – Baltic Film, Media, Arts and Communication School where he teaches crossmedia and transmedia storytelling both at BA and MA level. He is as well the project manager of Cross Motion (CM), an Interreg Baltic Sea Region project and EU Policy Area Culture Flagship project which aims at bringing together digital cultural heritage and gaming in service of other sectors. 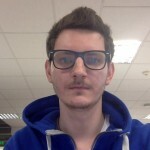 He is currently working on his PhD at Tartu University focusing on television, audiences and crossmedia. 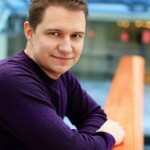 Last, but not least, he is the co-founder of Bloomingfern, the first transmedia production company in Estonia. The workshop is a practical 3 hours intensive course. After having set the bases for the understanding of transmedia, participants will be guided in the art of creative thinking and storytelling. The goal is to introduce practical opportunities connected to transmedia and to have a simple exercise in creating stories across platforms. David Lipkin. Member of the Board and Chief Legal Officer for LNK Group holding company. 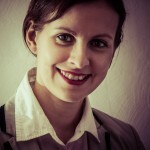 Member of the Board of subsidiary companies LNK PROPERTIES and LATVIJAS TILTI. For 9 years was working as a lawyer in LNK Group and its subsidiary companies. The enterprises of LNK Group operate in three main areas: 1) manufacture and construction; 2) real estate development and 3) trials of aviation equipment. In these areas LNK Group is the largest enterprise in the Baltic countries. Prior to joining the LNK Group David was working as Administrative Regional Court Judge assistant. In 2007 he graduated from the University of Latvia Faculty of Law and in 2009 received a master’s degree in Legal Sciences (Mag. Iur.). From 2000 to 2006 David worked as a youth leader of the Jewish Agency for Israel “Sohnut”. Leonid Karabeshkin graduated from the St. Petersburg State University Faculty of International Relations in 1999 and in 2002 the Russian Academy of Sciences Institute of Europe in Moscow (PhD in Political Science). He specializes on the issues of domestic and foreign policy of the Baltic States, questions of the regional cooperation in the Baltic Sea Region, the Russian-Baltic relations, politics in post-Soviet space. He founded and ran the St. Petersburg regional public organization “Baltic Club”, worked at the Center of International and Regional Policy (St. Petersburg). Since 2006 – lecturer, associate professor, professor of the Euro Academy (Tallinn, Estonia), Vice-Dean of International Relations Faculty. Trained in USA, Belgium and Lithuania. He speaks English and Lithuanian languages. 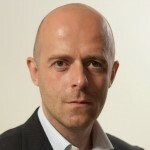 Dmitry Tsymber is a seasoned executive in banking and retail finance. 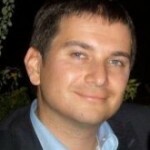 For the last 13 years, Dmitry has been CEO for banks and non-bank financial institutions in Latvia, Nordics and Russia. Successfully managed several turnarounds and growth cases. 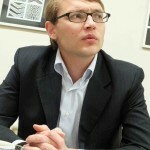 He holds B.S and Master’s degree from Stockholm School of Economics in Riga. Lev Fainveits, owner of Business Education Plus (www.bep.lv) company and organizer of international show „The Night of the Ad Eaters“ in Latvia (www.adshow.lv). 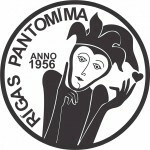 During 4 years company organized 65 business seminars in Riga. 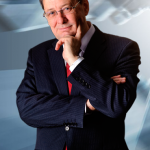 Seminars are run by top speakers-professionals in management, sales, negotiations, marketing, including such business trainers as Aleksandr Friedman, Igor Mann, Aleksandr Levitas. The working language of the seminars is russian. Specially for BJN Weekend 2016 Lev will present short version of „The Night of the Ad Eaters 2015“. Viewers will be able to enjoy 100 colorful and intriguing commercials from the famous The Cinematheque Jean Marie Boursicot. J.M. Boursicot at the moment is the biggest collector of the oldest film library in the world dedicated to TV and cinema commercials. In his collection more than 1 million commercials. In the short version of the program are included videos from different countries and years, which are advertising both goods and services. Many well-known brands will be presented. This collection of videos is not available on the Internet. There are a lot of funny, amusing, witty and really beautiful commercials. For the convenience of the audience commercials are with Russian subtitles. The first international show “The Night of the Ad Eaters” (from the French «Nuit des Publivores®») was held in Paris in 1981. Born and raised in Melbourne, Australia, Daniel Kraus studied at Monash University in Melbourne and Yeshiva University in New York. An ordained rabbi, Daniel and his wife, Rachel, served as the inaugural Directors of the Manhattan Jewish Experience Downtown (MJE), where they were tasked with building a vibrant community of young Jewish professionals in the Midtown Manhattan area. After six years, with over 7,000 people from diverse backgrounds participating in their programs, Daniel moved to the Upper East Side to become the Director of Community Education at Congregation Kehilath Jeshurun (KJ). There he is responsible for community outreach, as well as servicing the 1,000 synagogue member families through creative programming and classes.Daniel is a unique rabbi. He has developed a niche in Jewish communal growth through innovative leadership, targeted programming and a personal touch. In his work at MJE, Daniel impacted thousands through cutting edge programs and by facilitating opportunities for young Jewish professionals to network and connect to one another. Over the course of six years, thousands of people were hosted at Daniel’s Shabbat programs, which became base for many professional connections. Daniel is currently serves as the Director of Strategic Partnerships for the Birthright Israel Foundation where he leads strategic alliances for the Foundation as well as managing the post-trip engagement strategy for Birthright alumni. He also serves on numerous communal boards and consultants to a variety of not-for-profits. 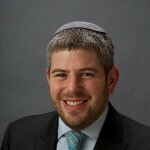 Rabbi Daniel is very active on social media where he uses various channels to reach out to thousands of followers. 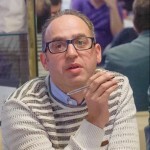 Andrei Tukin – Internet entrepreneur with over than 10 years of experience in the industry. He managed and developed many e-stores in the Baltic States and other European countries. His last project «In Sales» – multi-channel online products selling. At the end of 2015 company took 5th place in the “Gazelle 2015” rating (“Top gazelles companies”), ranking the fastest growing companies in Estonia. Ivan Artsishevsky. A leading expert in contemporary etiquette and state protocol. Ivan is called “etiquette guru” and his training may be regarded as a tool for strategic career planning. His courses and seminars provide systematic and structured material, which participant immediately can put into practice. He is confident that focusing on the rules of business etiquette helps accelerating career and enhancing organization’s status in the business community. Author and presenter of TV program “Master Class by Ivan Artsishevsky” for “Echo of Moscow to St. Petersburg”. “Golden Pen” award winner. Representative of “Romanov Family Association” in Russia. For many years led the Office of State Protocol of St. Petersburg Administration, worked with heads of states and governments. More than 10 years lecturing at the Stockholm School of Economics and the St. Petersburg State University. Led courses and seminars for the following companies and organizations: Gazprom, Coca-Cola, Megafon, Beeline, Sberbank, FC “Zenit”, the US Embassy in the Russian Federation and many others. Rodion Matvejev. Google Adwords Certified Professional and PPC Manager at Dyninno. Started from a small blog about video games with his classmate and now he has worked in the different projects on different roles over the past 6 years – marketing consultant, marketing executive, COO, project manager, business owner and investor. This variety of roles allows him viewing each task and situation from different stakeholder point of view and making the best decision possible. Got the BS degree in E-Commerce field and now studying for his MBA. Planned, launched and optimized all sorts of online marketing campaigns: SEO, PPC, Email, Display, Social Media, Affiliate, Mobile, Media Buying. Passed all of exams for Adwords certificates and maintained them over time. Has experience in working with different budgets and marketing goals – from driving leads to SMBs with budgets around 50-100$ per month to large scale projects with more than 20 different traffic sources and 100k+ $ spend per month. Marcis Vasilevskis was passionate about music since childhood and his love for it only continues to grow. For more than 10 years Marcis has been a professional guitarist, who performs with numerous Latvian and international musicians. Thanks to the experience of participation in large concerts in Latvia and other countries talented guitarist has performed in projects of various musical styles, ranging from classical music to rock. In parallel with this for many years Marcis is a teacher at a private rock school of Jelgava «BJMK rockschool” and performs in “Laime Pilnīga” group („Happiness Complete“). 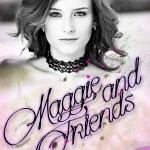 Maggie & Friends is collaboration of experienced musicians and professional female singer Maggie. Party music and dance music are the main focus of this project. The goal of the Maggie & Friends is not only cover world known hits, but to make it’s own versions of the famous songs. Sometimes it sounds even better than original! !